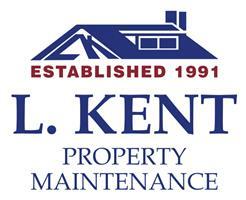 L Kent Property Maintenance - Painter/Decorator, Roofer based in Hove, East Sussex. L Kent Property Maintenance pride ourselves on positive customer service and endeavour to deliver a high quality job which will meet with your satisfaction. We are courteous, dependable, reliable and understand that our reputation is the key to our success. We undertake both commercial and domestic work. We have public liability insurance of £1,000,000 ensuring our customers peace of mind when using our services. We provide individually tailored risk and method statements for each site. We offer call-outs to all our customers. L Kent Property Maintenance do our utmost to keep our work in house and always use our own contractors for your peace of mind. This enables us to provide a service that will suit your budget without compromising on quality and it allows us provide a more accurate time scale estimation. Whichever service you choose from L Kent Property Maintenance, please be assured that we are fully trained to respect the environment we work within.